Every time I look at that pen I just assumed it was broken and something was wrong with it. 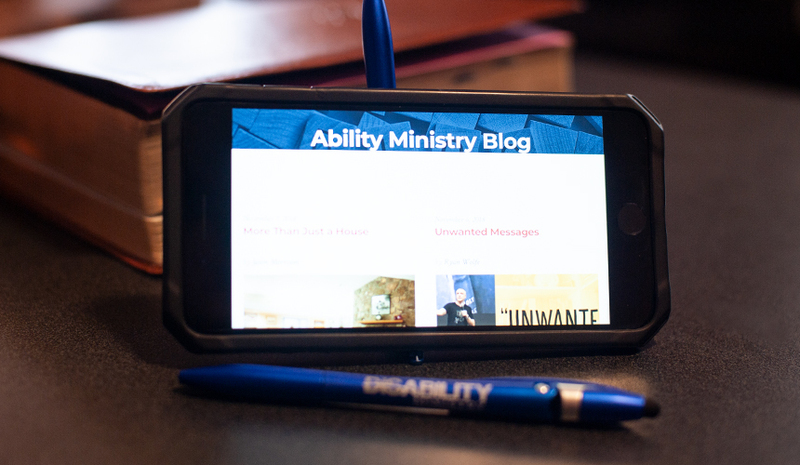 This statement about our Ability Ministry pens is one that we hear more times than not. While this is indeed not anything that we could have planned, it just goes to prove what an awesome God we serve and what He is capable of. 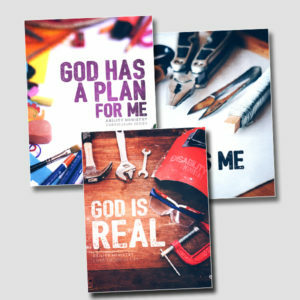 OK, so what does a pen have to do with how God works? That is probably what you are thinking, right? When we first ordered these, our goal was to have a pen that was more than just a pen. After all, you probably have a ton of pens lying around now. If we were going to hand these pens out, we wanted them to be useful. We even wanted people to use them so much that they relied on them. That meant that the pens had to be functional. Sure, they write. That much is obvious. 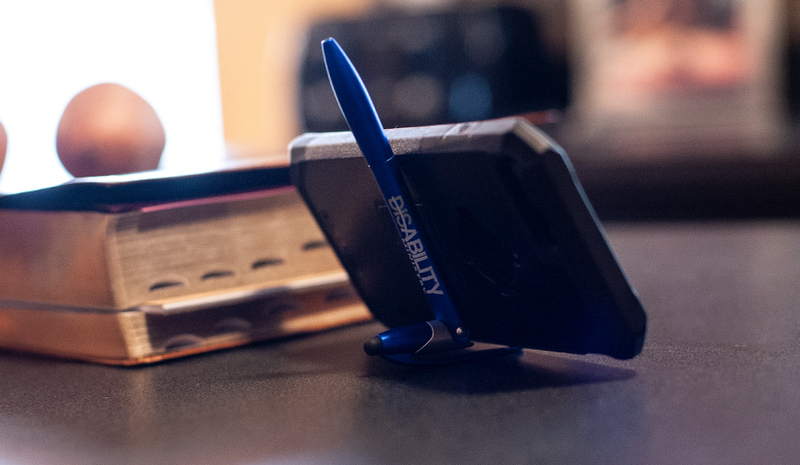 In addition to the Stylus, these pens offer a great mobile stand for your phone. Back to the statement about them being broken. Being in a rush, it can be easy not to snap the pen back in place after using it to support a phone. A glance at it just laying there, it is easy to see how it might look broken. It could easily be thought of as something not useful, cheap, worthless, and quickly discarded. That is only if viewed quickly and without taking the time to see what all it is truly capable of. I imagine that too often, this is what it is like working with those affected by disabilities. It is too easy to pass by, offering only a glance. 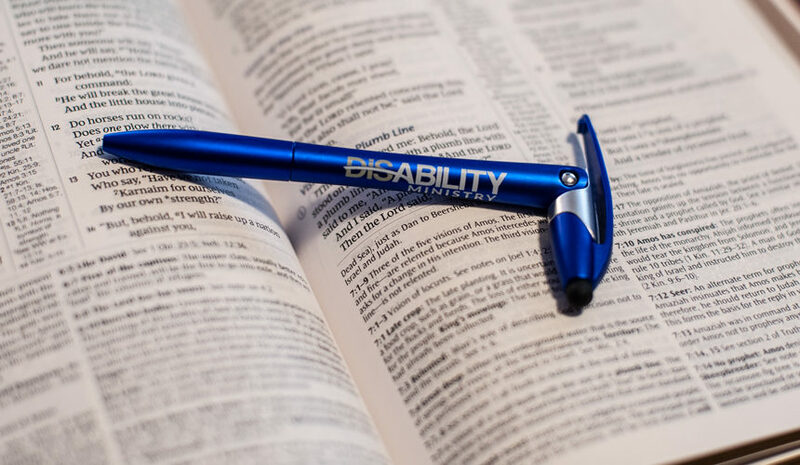 It is too easy to see a wheelchair, a movement different than our own, or an unfamiliar pattern of sound or speech and assume that something is just broken and not useful. 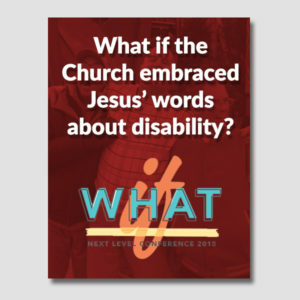 As I was preparing to write this blog, the sermon I heard at Southeast Christian Church by Kyle Idleman this past weekend came to mind. This sermon, Kiss The Wave, was so timely and such a perfect illustration of the point that I wanted to make. There is an uncountable number of examples out there, just like Jenny. Thinking back on how we have incorrectly labeled others as broken and possibly discarded them, I wonder what the Kingdom impact would be if we changed that mindset? Imagine if everyone was seen through the filter of how God will be using them to impact others rather than the worldly filter too commonly applied. 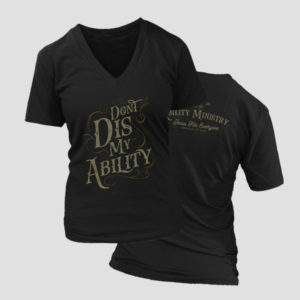 Imagine focusing on the ability and not only the disability. Imagine us stepping out of the way and allowing God to work. 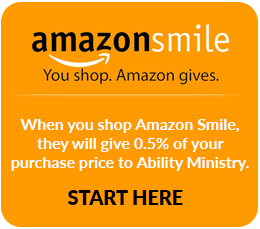 That sounds like a pretty awesome ministry to be a part of doesn’t it?